QUAINT, WARM AND COZY!! YOU WILL LOVE THIS HOME WHICH FEATURES NICE SIZED LIVING, DINING AND KITCHEN AREAS. 3 BBDRM/2 BA LOCATED OFF THE DINING/LIVING AREA. CERAMIC TILE FLOORING IN LIVING AND BATHS WITH LAMINATE IN KITCHEN/BREAKFAST AND BEDROOMS. 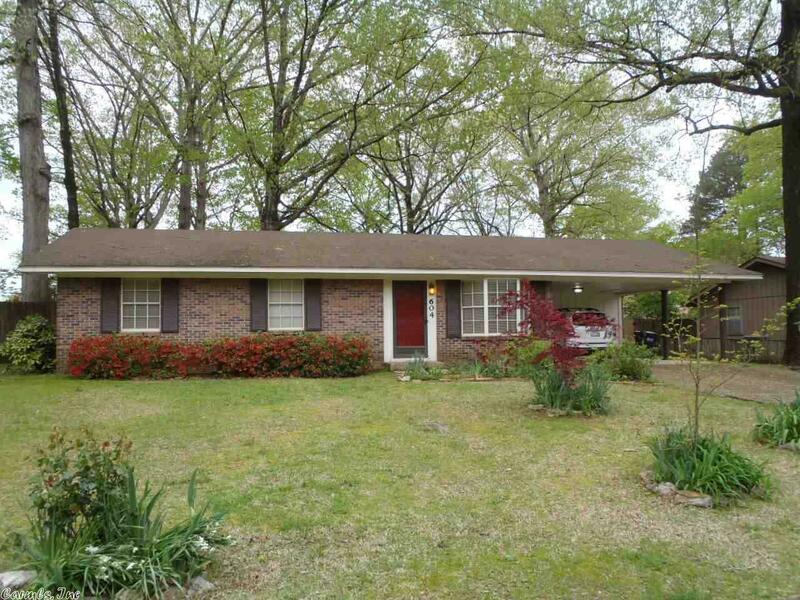 NEW PAINT THROUGHOUT, ROOF 2012, HVAC 2003 WITH NEW COMPRESSOR 2018, NEW FIXTURES IN BATHS, WATER HEATER 2016, STOVE 2011, DISHWASHER 2012, REFRIGERATOR 2012...YOU WILL LOVE THE HUGE BACKYARD. TWO CAR FRONT LOAD CARPORT. BEAUTIFUL LANDSCAPE! DON'T MISS THIS JEWEL!